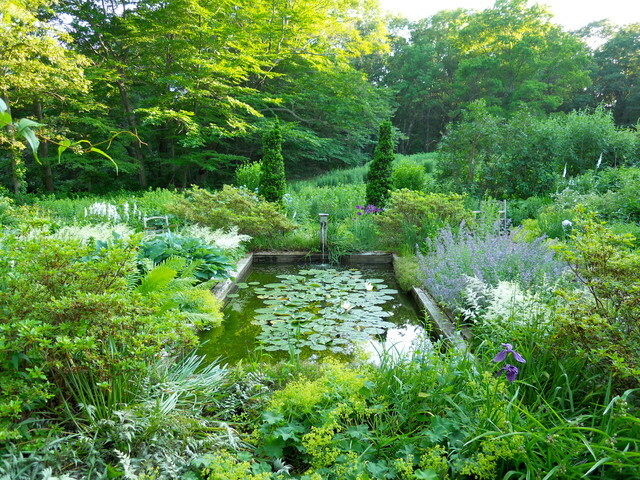 Blue & White Garden with rectangular lily pond; azaleas, tree peonies, assorted Spring bulbs, perennials and flowering shrubs. Display Garden, Seekonk, MA. Planting design. English country garden, Ilkley, West Yorkshire.